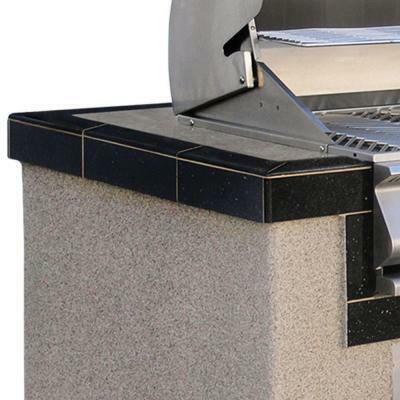 Turn your backyard into a state-of-the-art outdoor kitchen with the Cal Flame BBQ Island Series. This breathtaking barbecue island is ideal for entertaining family and friends, or cooking simple backyard meals. Starting with the sturdy metal frame constructed from commercial-grade 16-gauge galvanized steel for lasting integrity, the Island Series is built to exceed the highest quality standards inside and out. 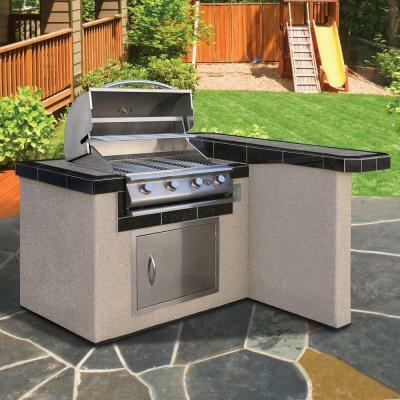 This island Features the Cal Flame Gourmet Series 4-Burner LP Gas Grill and 27 in. stainless steel access door. 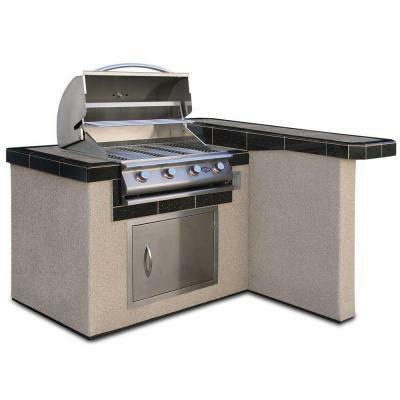 The Gourmet 4-Burner Stainless Steel Gas BBQ Grill has the cooking power of up to 60,000 BTUs. It features a convenient full width drip tray, one-piece handle, four cast iron burners with independent ignitions, lip guards on all burners to prevent clogging, optional rotisserie motor mounts on left or right side. The beautiful stainless steel 27 in. 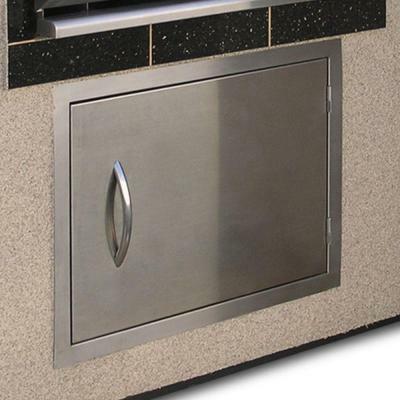 horizontal access doors have been designed to fit perfectly in barbecue islands. 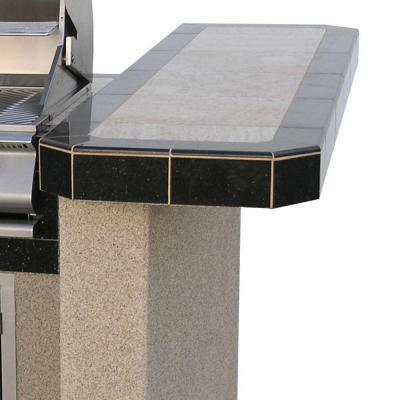 The sturdy steel door offers a convenient way to keep your barbecue necessities hidden inside your island. Constructed of stainless steel for long lasting durability and performance. Countertop measures 66 in. x 33 in. x 66 in.